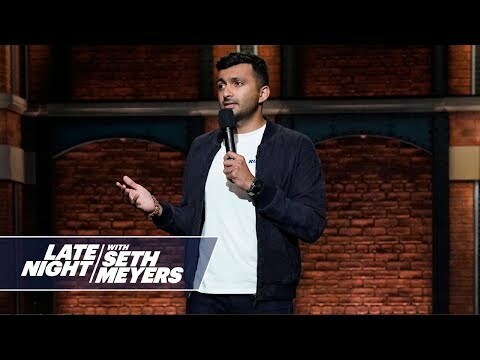 Nimesh Patel was recently a writer on Saturday Night Live (where he is notably the first Indian American to have that job). Before SNL, Nimesh was a writer for the 2017 White House Correspondents' Dinner hosted by Hasan Minhaj. He consulted for Broad City and TruTV's Comedy Knockout. In 2016 Nimesh was hired by Chris Rock to write for the 88th Annual Academy Awards (again, notably the first Indian American to write for the Oscars). He has opened on the road for comics such as Chris Rock, Maz Jobrani, and Michael Che. Nimesh was also named one of Comedy Central’s “Comics To Watch” in 2013. He is a regular on MTV2's Vidiots and can be seen performing stand-up around New York City.